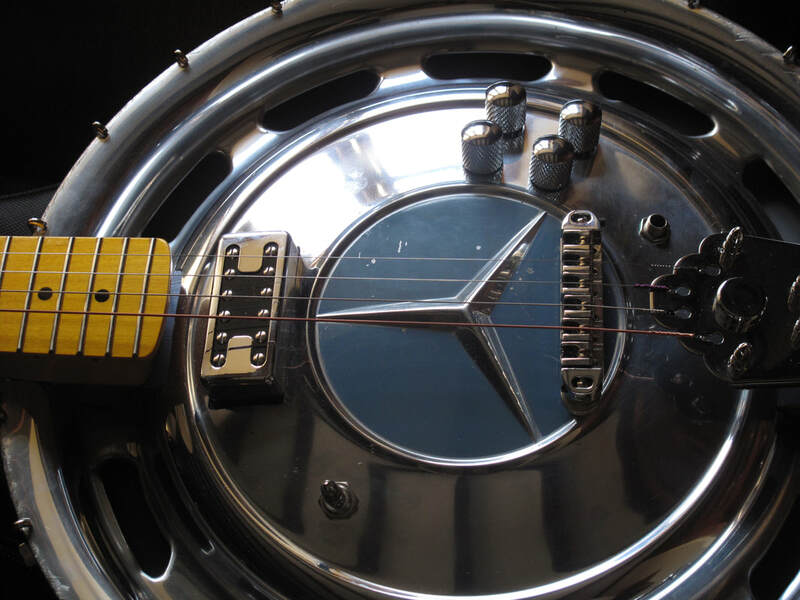 4-string slide hubcap guitar using a late '70s Mercedes hubcap with jazz tailpiece. The guitar has Artec humbucking pickup at the neck and three Piezo pickups within the body to enable the blending of a thin metallic piezo sound with the warmth of the humbucker. Click ﻿here ​ to hear this guitar in action with the Swampbox and to youtu.be/68PJb3SsJ_0 to see it used in a full band. 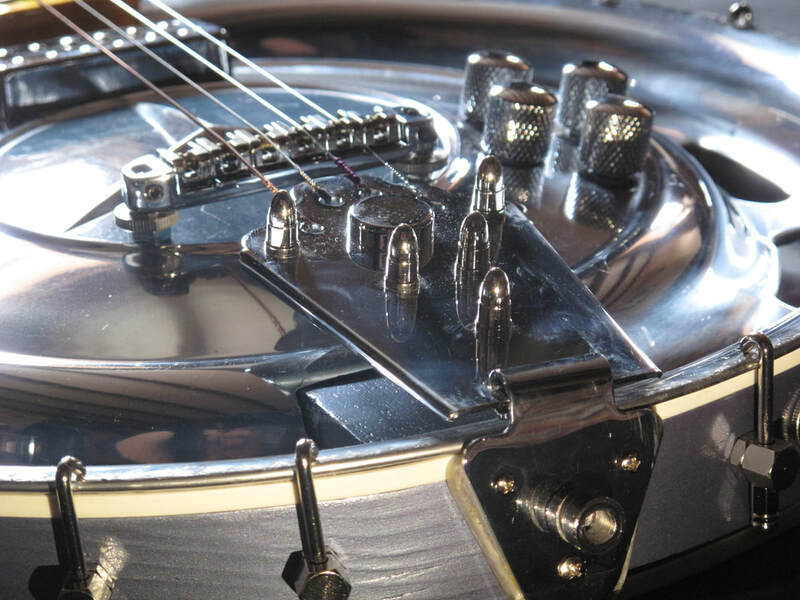 In this example the use of traditional banjo stays enables the hubcap to be used with a hollow wooden body.